I THINK this is my last Mother's Day card. 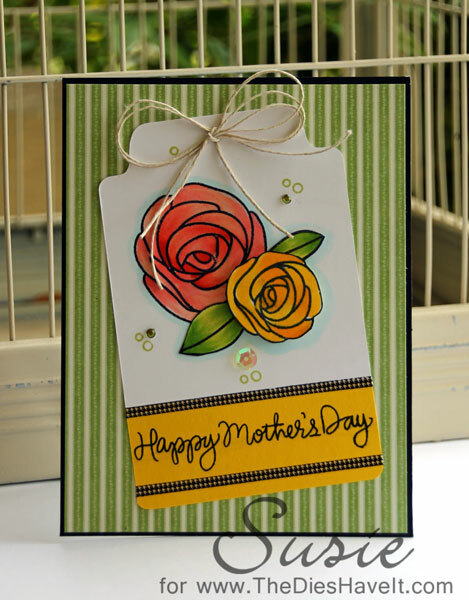 I used last year's Mother's Day stamp set from Simon Says Stamp to make my card. I cut out the yellow flower and popped it up. Same with the leaves. Lately, I've been loving tags. This one is a combination of two tags cut from my Cameo.